Another design from the archives that I've yet to blog about....I thought it would be a cool idea to create a design celebrating Gay Pride. 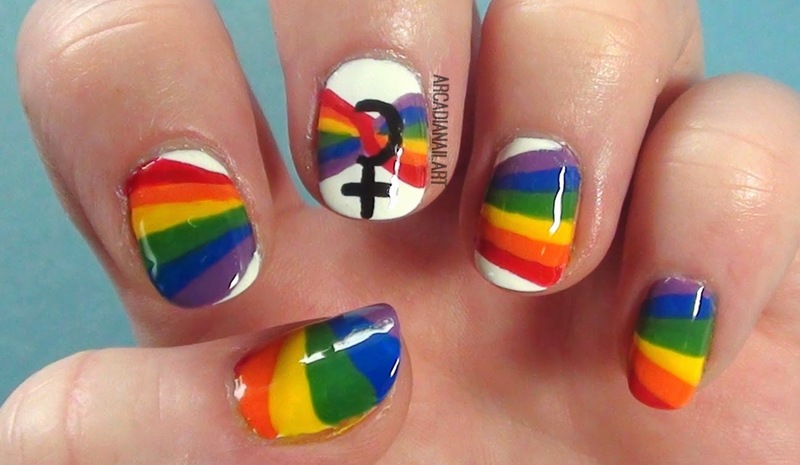 Whether you're gay or a straight person wanting to show their support, these nails encapsulate that message really well. Don't worry if you're not able to paint the images on both hands, you can simply paint your dominant hand with a different rainbow colour on each nail to match! Watch the video HERE or click below.